If you sell 10-20 products online, you can easily add them to your online store manually. But what if you want to expand the range, or if you already have 100+ products and need to refresh their descriptions from time to time? There are tools for the product catalog in your Ecwid Store that help you save time and keep up with the important changes in your assortment. Browsing your product catalog is more comfortable for your customers when they find unified descriptions on every product page. That makes it easier to compare products and generally improves the look of the page. 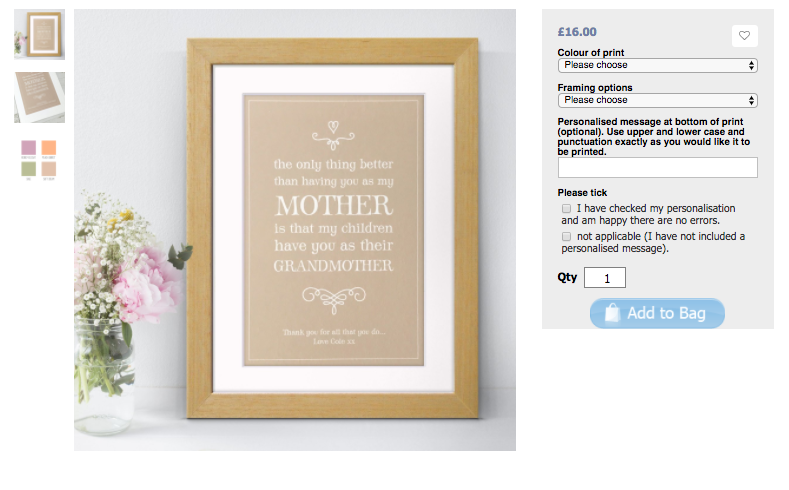 For example, the store Cloud9Design allows you to customize their posters and has clear descriptions of sizes, frames, and personalization options on each product page. 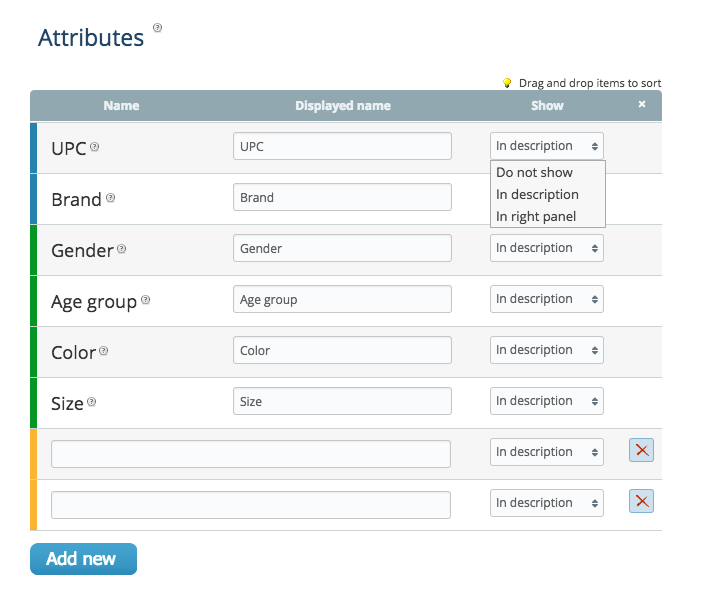 You can create unified descriptions with the help of product types and attributes. Go to your Control Panel → Catalog → Types and click New product type. In the popup, choose the most suitable product type and click Add. You’ll be able to change the type name later. Rename your type if necessary by clicking Change. 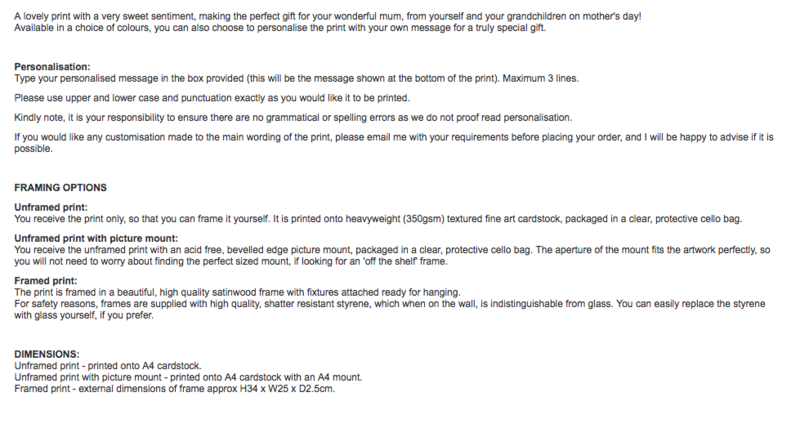 You’ll see the attributes that will be shown on product pages of this type. You can hide the unnecessary ones and add your own. When you have a new product in your store, you’ll just need to go to its product page and click the Attributes tab. Choose your type (e.g. Apparel) there, and you’ll see the attributes. All you’ll have to do is fill in the fields. If you need to add new products or refresh the existent assortment quickly, use the Import products tool. Create a CSV file in OpenOffice, MS Excel, or Google Docs. Learn more in this guide. 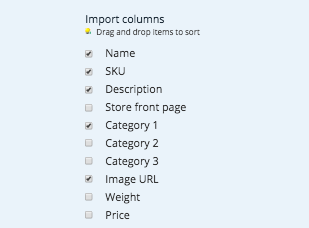 Go to your Control Panel → Catalog → Products and click Import products. In the popup, choose the columns that you have in your CSV file. For example, if your product description consists of the SKU, product name, and price, you’ll only need those columns ticked. Сhoose your file, delimiter, and encoding options. Click Import. You might want to refer to our Help Center if you’re doing this for the first time. 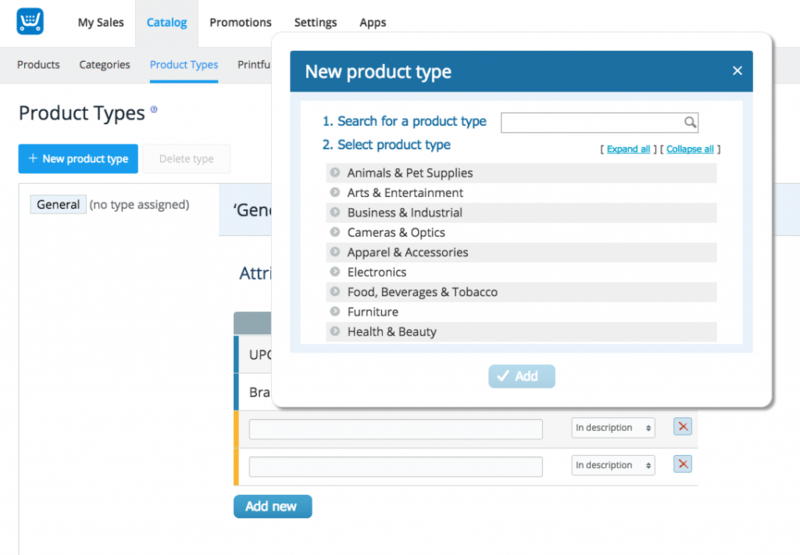 Product types and attributes, as well as product import, are completely free and available on all Ecwid plans.